My only suggestion would be to lay out the buttons in a more ergonomic fashion. Other then that this looks like an excellent alternative to hacking a keyboard for a mame cabinet controller and probably a bit cheaper too. Because that’s how the originals were? They were only straight layout in USA and those button spacings look way too wide even for that. I’m in the middle of doing the same thing. Also with a minimus. I’m doing it as a custom HID keyboard, with 20-key rollover. 10 times better than hacking a keyboard. No need to worry about key blocking for larger button layouts! What does LUFA offer over V-USB? LUFA is for AVRs that have *hardware* USB. V-USB, USBtiny, et al, are software implementations for AVRs without USB. Dean Camera (the creator of the LUFA libraries) he is an absolute great guy, and if you post on the AVRfreaks forums he will help you with any problems you have. Including rewriting portions of code. Also the hardware USB just works! vUSB is a software-only, low-speed implementation. LUFA is a driver for the AVRs that have hardware USB and can do high-speed USB. yes, but the question was what are the benefits? paying more for AVR with hardware USB is not a benefit. Is this not what a Teensy was intended for? Perhaps, but Teensy is not open source, which is a problem for some. The smaller Teensy is basically identical to the Minimus, ~same breakout circuit, ~same processor. However, the Minimus is pre-programmed with AVR’s default bootloader, which is nicely supported under linux. Teensy looks like it uses a proprietary bootloader / uploading code. It’s also a lot easier to get hold of in the UK. 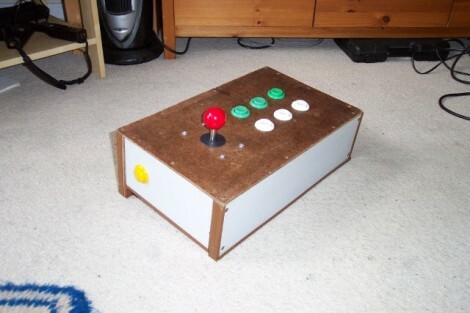 You can buy purpose made interfaces to do this, they’re popular when making MAME cabinets and controllers.